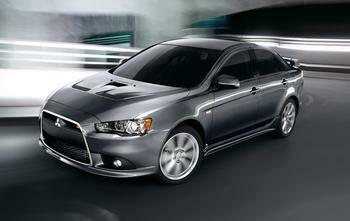 Mitsubishi Motors North America (MMNA) is recalling 17,120 model year 2004-2006 Mitsubishi Lancers that previously received a like-for-like passenger side front air bag inflator as interim remedy. Also recalled are model year 2004-2006 Lancers located in Guam or Saipan that previously received or never received a new inflator. These passenger side front airbag inflators may be susceptible to moisture intrusion which, over time, could cause the inflator to explode in the event of an air bag deployment. MMNA will notify owners, and dealers will install a final replacement passenger side frontal air bag inflator, free of charge. The recall is expected to begin April 26, 2018. Owners may contact MMNA customer service at 1-888-648-7820. MMNA's number for this recall is SR-18-005.